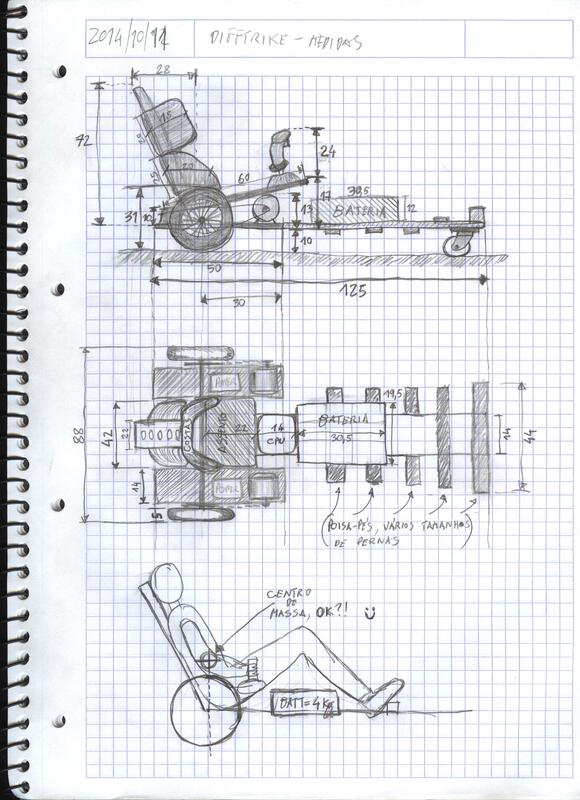 With some people wanting to build their own crazy trike / kart and due to popular demand, I’m posting here the current design and measures of our proof-of-concept vehicle. Obviously, this is not an engineering blueprint, and anything you build based on this information is your responsibility alone – don’t blame me/us if you break your nose while riding an experimental thing like this. DiffTrike MarkIV measures. Some parts not accurately scaled. All measurements in cm, with a tolerance of +-1cm. ← We made the news!